Tass reports that Russia and China plan to sign a cooperative agreement in the fall outlining increased cooperation across a range of space areas. Russia and China are also working to deepen cooperation with the BRICS nations, which include Brazil, India and South Africa. As Glavkosmos explained, cooperation with Chinese partners envisages the following areas: the exploration of the Moon and outer space, space vehicles and ground infrastructure, hardware components and materials, the Earth’s remote sensing data. 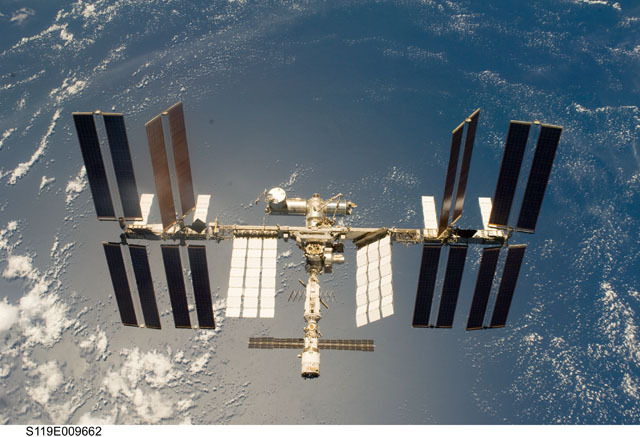 Glavkosmos is also working with Chinese commercial partners on the issue of holding experiments aboard the International Space Station and providing the data of the Earth’s remote sensing from Russian satellites, the company said…. Specifically, Glavkosmos is holding preparations in Brazil for a tender for the delivery of space images to that country. It was reported earlier that China was interested in buying the world’s most powerful Russian-made RD rocket engines produced by Energomash while Russian Space Systems showed interest in Chinese electronic components. Russia and China are also working on making their GLONASS and BeiDou navigation satellite systems mutually complement each other and on installing adjusting ground-based stations on the territory of each other. Sixteen botched launches in six years. 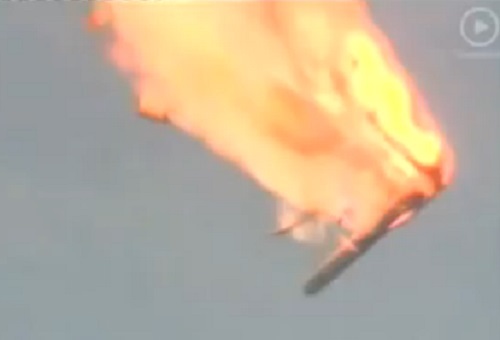 That’s the Russian space program’s sad record since May 2009. 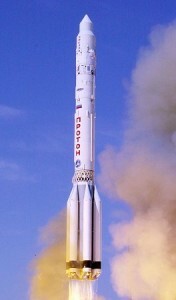 The failure of a Proton rocket earlier today with the loss of a Mexican communications satellite was yet another sign of the prolonged crisis affecting Russia’s once powerful space program. The crash came less than three weeks after a botched launch left a Progress supply freighter spinning end over end like an extra point before it burned up in Earth atmosphere. There was also news today that another Progress cargo ship attached to the International Space Station failed to fire its engine as planned to boost the station’s orbit. an ambitious Mars mission left stranded in Earth orbit. The table below shows the full extent of the damage. Russia will spend 2.1 trillion rubles (about $70 billion) under a state program for the development of the national space industry in 2013-2020, Prime Minister Dmitry Medvedev said on Thursday…. “The program will enable our country to effectively participate in forward-looking projects, such the ISS [International Space Station], the study of the Moon, Mars and other celestial bodies in the solar system,” he said. 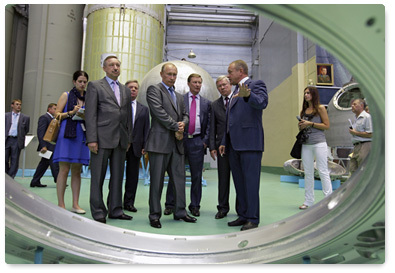 On March 6 the Federal Space Agency held a board meeting under the direction of the head of Russian Space Agency, V.A. Popovkin. The results of space activities in 2011, the task of the Federal Space Agency in 2012. The meeting was attended by Deputy Prime Minister Dmitry Rogozin, the representatives of the Russian Presidential Administration and the Russian Government, ministries and agencies of the Russian Academy of Sciences, a number of universities, heads of enterprises of the Russian space industry. Construction of a new spaceport in the Russian Far East. Russian President Dmitry Medvedev fired RSC Energia’s vice president Vyacheslav Filin and Roskosmos Deputy Head Victor Remishevsky over the Dec. 5 failure of a Proton rocket, which sent three expensive GLONASS navigation satellites to the bottom of the Pacific. 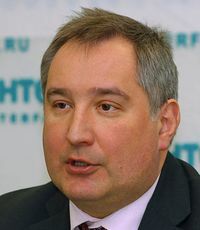 The Russian leader also reprimanded Roscosmos Head Anatoly Perminov. The failure resulted from the fourth stage transfer module being overloaded with fuel, causing the first three stages to under perform. The failure was deeply embarrassing to the Russian government because the three satellites would have completed the 24-satellite GLONASS constellation, allowing it to provide full global coverage for the first time. GLONASS is the Russian equivalent of the American Global Positioning System (GPS). The Russian government has been eager to recover its Soviet-era space prowess and to prove that it can equal the technological achievements of the United States and other Western powers. Officials are making a major push to install receivers on buses, cars and other vehicles both domestically and aboard. The government is working with India and a number of countries that formed the former Soviet Union to install receivers there. The Russian space agency Roscosmos is leading an effort to improve the use of satellite systems and data for natural resources management, navigation, emergency response, and economic development. The effort extends to effecting internal improvements within Russia and taking a leadership role in key areas as global navigation, climate monitoring, and disaster relief. The United Territory Distribution Space Remote Sensing System (UTDS) is a key element in Russia’s strategy. UTDS’ goal is to create a unified remote sensing system that has common standards. Interfax-AVN quoted Roscosmos official Valery Zaichko as saying that UTSA will help resolving the problems with distribution of remote sensing images in the country due to different technical standards,Â storage formats and other differences. Interagency Board has been established to investigate the failure which occurred on Dec. 5 during launch of Proton-M with three Glonass-M spacecraft. As a result of the failure, Glonass-M cluster was injected into non-targeted orbit. The Board comprises representatives of the Ministry of Defense, Russian Federal Space Agency, companies and organizations of the industry. Media are reporting that the “non-targeted orbit” is actually the bottom of the Pacific Ocean. The failure is also reported to have cost about $500 million dollars, part of an overall $2 billion program. GLONASS is the Russian equivalent of the American Global Positioning System (GPS). GLONASS begun during the Soviet era, and the successor Russian government has made it a high priority to complete and upgrade the system. Russia has 23 functioning GLONASS satellites in orbit. The three lost satellites were to provide a constellation of 24 satellites required for full global coverage plus two on-orbit spares. Russia and Ukraine have agreed that they may send a Ukrainian cosmonaut on a Russian spaceship to participate in long-term operations on the Russian segment of the International Space Station (ISS), Roscosmos Head Anatoly Perminov told news media. According to him, it was Ukrainian proposal which implies training of national cosmonauts in Roscosmosâ€™ Gagarin Training Center. However, the â€˜costlyâ€™ initiative still has to be discussed with the ISS international partners, Perminov stated. The Ukrainian National Space Agency will also work through all the aspects of the project, which haven’t been specified at the current stage.